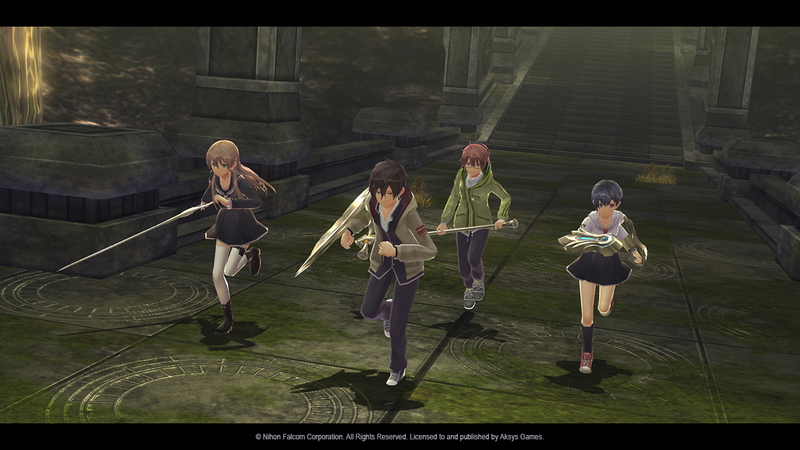 Tokyo Xanadu eX+ is an action RPG developed by Falcom and published by Aksys Games. 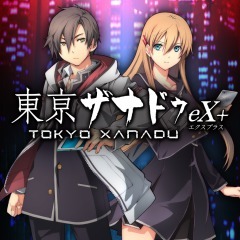 This is an updated release of the original Tokyo Xanadu for the Vita. This version adds new story content, new mechanics, and improved resolution and framerate, making it an all around improved experience. This game is rather interesting, as it’s filled with references to Falcom’s past games. Lots of gameplay elements are lifted directly from some games, and there’s little references to their past games. I’d say the biggest influence is Trails of Cold Steel. There are cameos from a few of the characters from that game. Other influences from the game include some mini-games appearing here, and some mechanics as well. The other big influence is probably Zwei 2. The gameplay structure of the dungeons is almost exactly the same, and the main characters use the same weapons. There’s also a handful of references from games like Gurumin and Trails in the Sky sprinkled throughout. One rather direct reference is a store in the game having a blatant advertisement for the yet to be localized Sen no Kiseki III. The story starts out with our protagonist, Kou Tokisaka, on his way home from work when he notices some ruffians following a classmate, Asuka Hiiragi. He confronts them, but before they come to blows, a portal opens up right there and drags them into a strange world. Inside this world our protagonist is beset by strange creatures, but before they could attack, Asuka saves him. Asuka can wield a magical weapon called a Soul Device, and eventually it turns out Kou can as well. This marks the start of their adventure to unravel the mystery behind why these portals exist. The story takes awhile to get going, but with the somewhat episodic pacing of the game, it doesn’t feel too sluggish. Each chapter introduces a new character that joins your party. Also new to the eX+ version of this game are side chapters that take place in-between the main chapters. These give you a little bit more insight into the characters, some new dungeons to explore, and eventually culminate into a rather interesting surprise. Still, I couldn’t help but feel the early chapters felt a bit meandering. It takes quite a long time for any major threat to present itself. Fortunately, once it does, the story gets a lot more interesting. The core of the gameplay is diving through dungeons. The dungeons are like mazes, similar to Zwei 2, and are littered with enemies, treasure chests, obstacles and the occasional light puzzle. The dungeons themselves don’t differ a whole lot from each other aside from aesthetics and obstacles. Your basic abilities for combat are a combo chain, a ranged attack, a flying attack, and a power attack. Ranged attack is for attacking at a distance, of course, flying attack sends you flying towards enemies, and a power attack does big damage, but has a large wind-up. Most of the gameplay comes down to using these abilities effectively. Some enemies are resistant to normal attacks, so you have to use ranged attacks. There are enemies with shields and you have to use power attacks to break them. In addition, there’s a few special abilities. There are EX attacks which do big damage, and you’re invincible during them. There’s the X-Strike which is a massive attack that hits everything in your vicinity. Finally, there’s the X-Drive, which brings out a party member to help you, and gives you a few buffs. The EX attacks and X-Drive are new additions to the eX+ version, which certainly do a lot to add variety to the combat. Overall the combat feels pretty good. 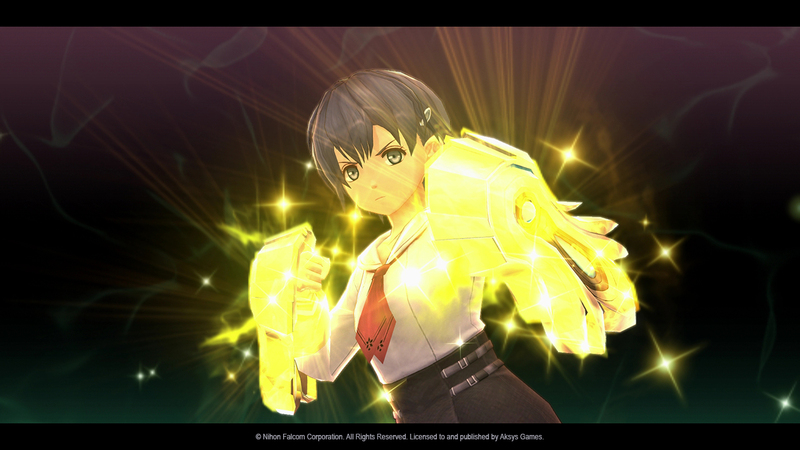 Despite lots of things from other Falcom games appearing here, the combat manages to feel like its own thing. It’s not as fast paced as something like Ys VIII, but it still feels fun and satisfying. Enemies and bosses aren’t quite as neatly designed as what you’d find in that game either. Enemies have very odd attack telegraphs. Some feel appropriate, while some telegraphs can last almost several seconds. This can make some attacks pretty tricky to avoid. The special abilities you have are great and add variety, but given how long it takes to build up meter to use them, you pretty much just save them for bosses and mini-bosses. 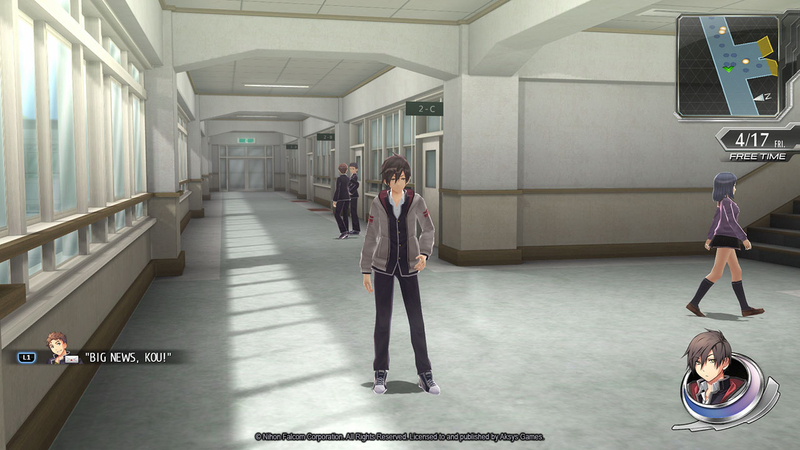 Outside of combat, the game takes on a social sim aspect, quite similar to Trails of Cold Steel, or Persona. You can spend time with your party members and get to know them better, which eventually provides some gameplay benefits. There’re side quests you can do that are great for getting some additional money, but also flesh out some of the NPCs a little bit. Typical of Falcom games, there are a lot of NPCs that go through their own character arcs, some of which you can totally miss. They all have their own business to do, and you can go around and find them to catch up on their lives, or you can skip that outright if it doesn’t interest you. The music in this game, much like Falcom games in general, is very good. Most of the tracks are a bit more laid back compared to something you’d find in Ys or Trails of Cold Steel. Still, it was definitely the kind of game where I wanted to listen to the music the whole way through. For better or worse, this game lacks an English dub. The audience for a game like this probably doesn’t mind this at all, or in fact prefers it, but I do know there are people that prefer a dub, and that’s absent here. Visually, the game isn’t exactly pushing the PS4 hardware. This is understandable though, given that it was a Vita game, and Falcom games are generally very low budget anyways. The game does manage to look nice enough in some instances. The dungeons and enemy and boss designs are the highlights here. The only issue I have is that monster designs get frequently re-used. Knowing that Falcom is a small developer operating with very small budgets makes all this understandable though. Another thing to note is the game localization. It’s a significant improvement over the Vita version, though there are some odd slang phrases every now and then. An example that stuck out to me was the main character saying “H-E-double toothpicks” in place of the word “hell.” This isn’t even a censorship thing, as characters are pretty free with swear words most of the time. It’s really inconsistent where the slang pops up, but overall the dialogue sounds a lot more natural than the original translation, so it’s not such a big deal. By biggest criticism of the game is just how long it was. It was about 100 hours, and it could’ve been longer had I been more invested in talking to random people. I really feel like the story could’ve been a lot shorter, as some chapters don’t really have much to do with the grander narrative at work. There’s also essentially three endings to get. There’s the normal ending, true ending, and eX+ adds an “After Story.” This gives you a slew of new quests, dungeons, and more story events. I had to say by that point, I had a hard time caring. The game had a great climax in the first ending, and the two endings after that just weren’t very interesting. 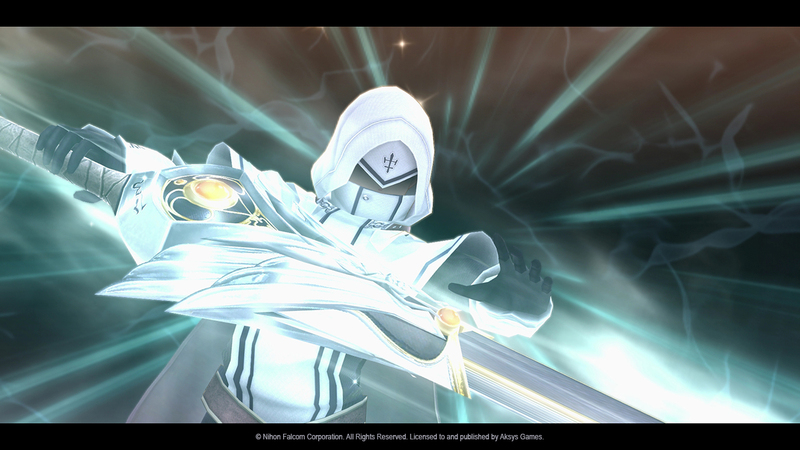 Overall, I don’t think Tokyo Xanadu eX+ does anything as strongly as Falcom’s best, but there’s a good foundation here that they could improve upon. It’s worth playing if you’re looking for more Falcom, and even if you’ve already played the Vita version, this one might just have enough content and changes to warrant a double dip. It is $60, which I think is a fair price if you haven’t played it before. If you did play the Vita version, I might recommend waiting for the price to lower a bit.